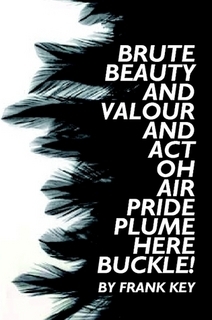 Brute Beauty And Valour And Act, Oh, Air, Pride, Plume, Here Buckle! The 2012 Hooting Yard paperback is now available from Lulu. Mr Key would be extraordinarily happy if you pointed your browser there immediately, and bought dozens of copies. Remember, I have been told in no uncertain terms that I am “not commercially viable”. Let us prove them wrong! Hooray! I have just ordered my copy! Are your books available in digital format? I would be willing to pay the same price as the print edition! I would also pay the same price for a digital format. I am determined to avoid ending up with a house full of dead trees! Yes, a kindle edition please! This’ll only increase my fervor for making mezzotints.